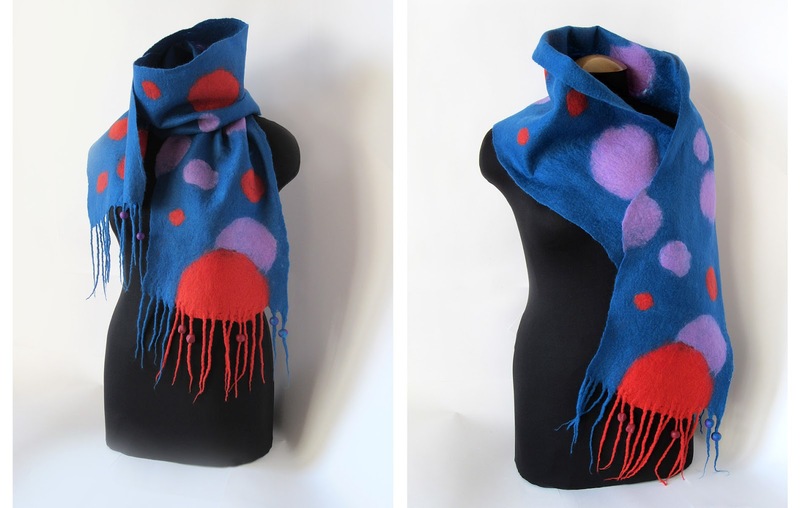 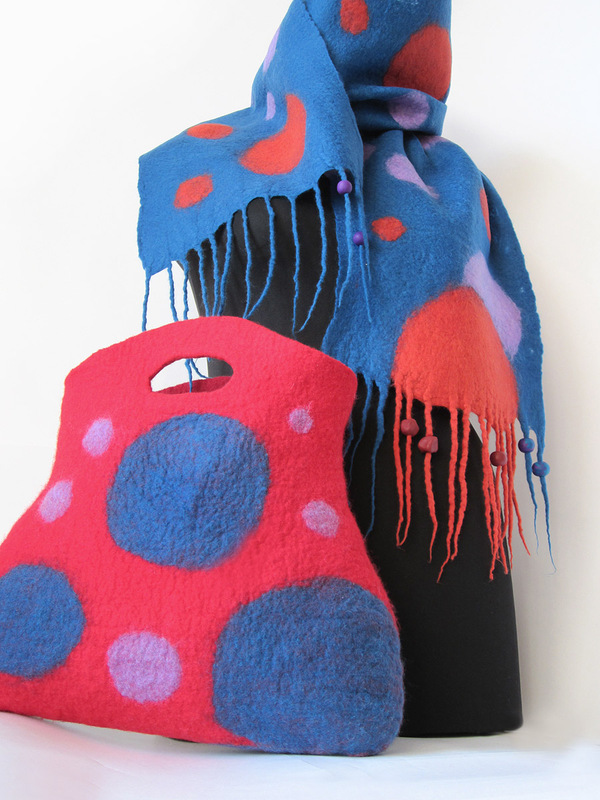 This is a cozy large scarf + handbag art set in red - blue - light violet color combination, with those magic circles :) The set is wet felted, scarf's been made of super fine Italian merino wool, the bag is made of locally manufactured Russian troitskaya wool, for it's more sturdy than merino and won't wear out quickly. Scarf has a fringe with handmade polymer clay beads modeled by me. 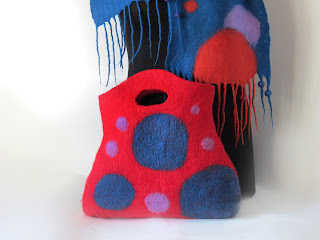 The handbag actually is pretty solid and tightly felted, will keep the initial shape, is drizzle and snow resistant, perfect for all those gray dark winter days (cheer up! ), furnished with a magnet button snap. 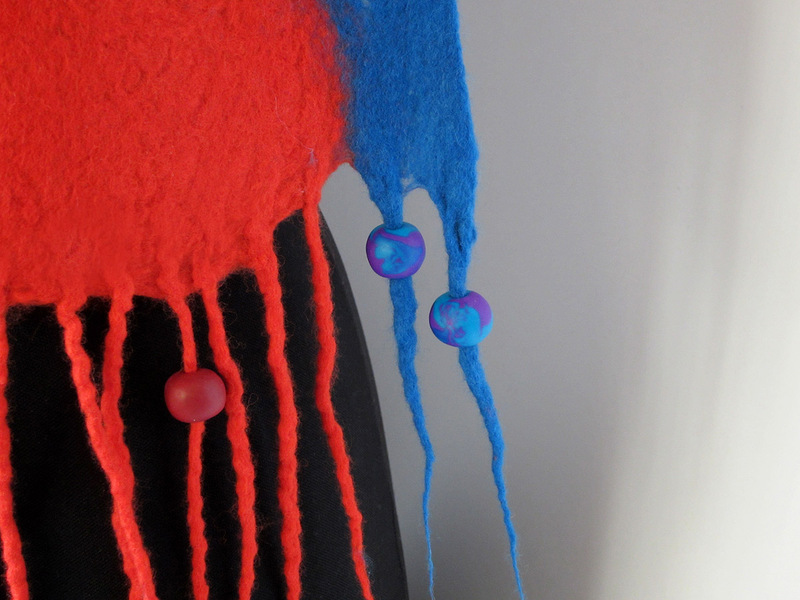 scarf : 156x26 cm --> 61,4"x10,2" without fringe. bag: 34x36 cm --> 13,3"x14,1".